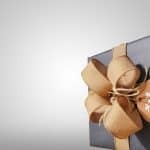 Whatever nighttime memories you make with your children this holiday season, there will be one constant element in each and every one: the perfect holiday pajamas. 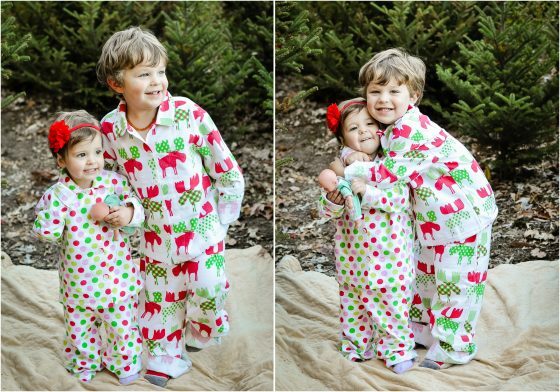 The following are some of our absolute favorite pajamas – the ones we’ve chosen for our kids to wear during the holidays this year. There’s something on this list for everyone – from the classic nightgown to modern prints to eclectic and funky designs. We’ve taken everything into consideration: comfort, quality and style; and have found the best of the best to present to you! Lazy One is a company originally dreamed up in the mountains of northern Utah by a husband and a wife who wanted to bring comical boxer shorts to the world; and has grown to offer a variety of sleepwear and loungewear featuring comical designs and endearing wildlife creatures. Being nature lovers, Lazy One is constantly striving to go green and are moving to becoming a plastic-free company, with hangers made of recycled paper and an emphasis on reuse and recycling. Lazy One is about keeping people “warm and fuzzy” and adding a comical spin to everything from their pajamas to slipper socks. With an assortment of (affordable!) long-sleeved jammies in cozy color combos and adorable prints, Lazy One will outfit your little one all year long – not just for the holidays! Their styles are festive without being limited to Christmas; so your child can continue wearing these pajamas through January and beyond. 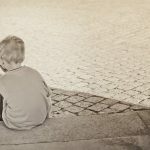 Their variety of similar but different styles will allow you to subtly coordinate your children without having them wear the exact same pair of pajamas. This way, each child can have the style that suits them best; while still being an adorable match for the holiday season! 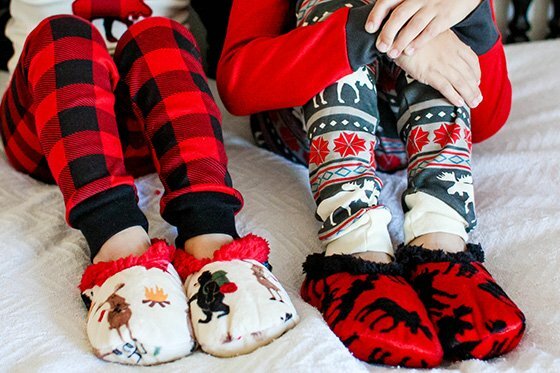 You can keep their little feet toasty with Lazy One’s Fuzzy Feet slippers, available in a number of patterns to match any of their pajamas! The fleecy interior and non-skid soles provide your child with the perfect warm footwear for around the house in the winter months. Children and parents alike will adore the comical and comfy styles available at Lazy One. 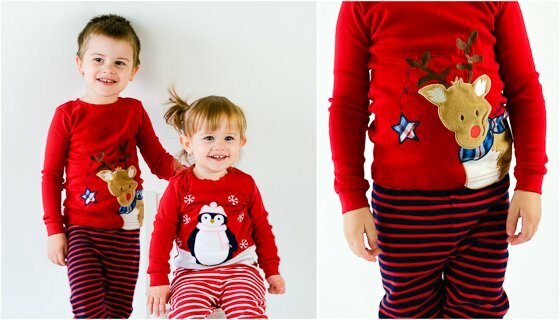 Outfit your child in festive patterns that don’t have to be packed away at the end of December and can be enjoyed for the entire season! 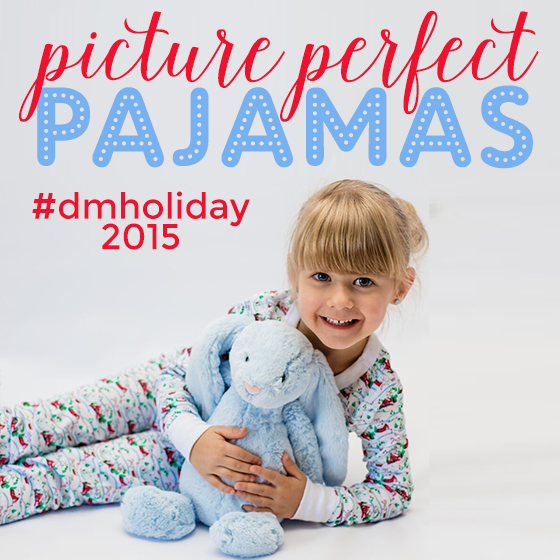 And now, you can get some cute pajamas for even less, with coupon code dailymom good for 10% off orders of $50 or more at Lazyone.com until December 20, 2015. Chasing Fireflies was created to celebrate childhood, as well as parenthood. Do you remember the first time you ever rode a bike, or had ice cream for dinner? Sure, it was fun when you did it; but, as parents, it’s way more fun to experience your childs firsts with them. They’ve taken great care in selecting magical children’s products that are sure to charm, surprise and delight your child, (and you!). 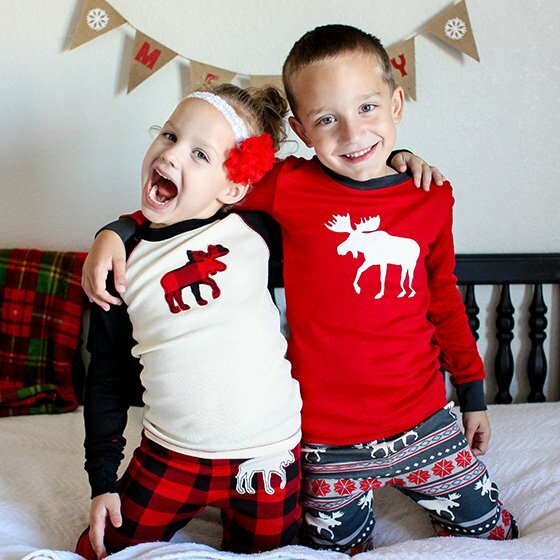 Chasing Fireflies offers one of the most extensive catalogs of holiday pajamas we’ve ever seen – and the best part is that they’re personalizeable! 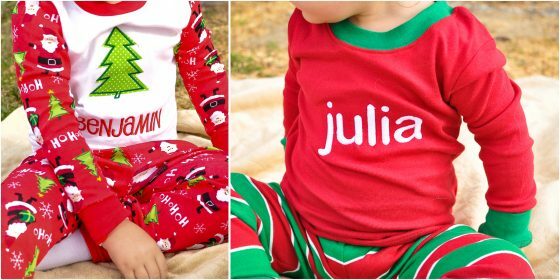 Your child will love seeing his or her name embroidered on these Ho Ho Ho PJs; complete with an applique Christmas tree, and pants adorned with cheerful Santas, festive Christmas trees and snowflakes. 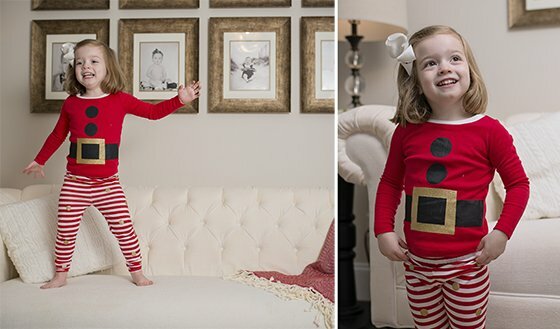 These unique pajamas are available only at Chasing Fireflies; and are made from high quality, thick woven cotton that will last you through an entire Christmas season (and next year’s too!). 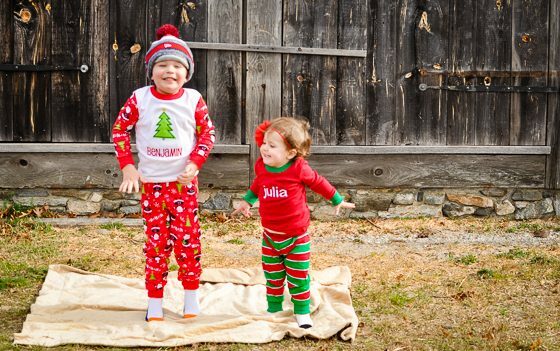 Chasing Fireflies’ personalized Holiday Stripe PJs are available for the whole family, including Mom and Dad! They’re crafted from high quality cotton; and built to last – these are not pajamas that will fade after a few trips through the laundry machine. 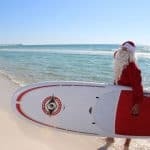 The top features your child’s name embroidered on the fabric in white letters; and each set of bottoms is made from a Christmas-y red and green striped material. 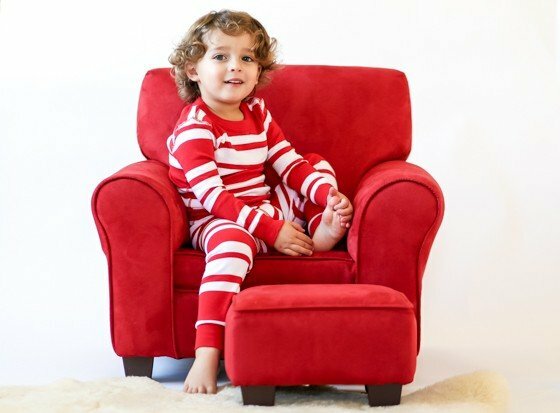 Both the Ho Ho Ho PJs and Holiday Stripe PJs for children are made from tight-fitting cotton; and they are not sprayed with toxic flame retardants – a win in our book! You can rest assured knowing that your child is safe and sound in chemical-free, cozy cotton throughout each night of this holiday season. Chasing Fireflies has all the pajamas you need this holiday season, and for the whole family! Each set offers personalization; so your child can have a set of holiday pajamas just for him/her. These are top quality pajamas made to last through countless laundry days without fading or pilling. Jelly the Pug has uniquely been outfitting girls since 2007, when mom Diane McAllister decided to try her hand at making little girls’ dresses. Her outfits were so whimsical, unique, and girly that it didnt take long before her designs were in high demand by other moms. 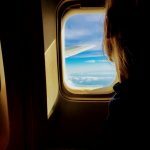 Diane began traveling to trade shows to showcase her apparel; and her trusty pug, named Jelly, became her loyal travel companion. Jelly soon established a large fan base that drew mobs of little girls to Dianes booth; and so it only seemed fit to name the company after the beloved pet dog. The brand Jelly the Pug was named straight from the mouths of its tiniest customers. Once again, the style and flare that accompanies any piece from Jelly The Pug stands out from the rest based on its uniqueness teamed with impeccable quality. 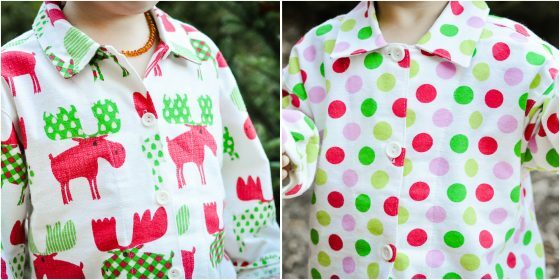 Bright and festive colors with mix and match patchwork fabrics adorn the pajamas; and they will quickly become everyone’s favorite jammies (even past the yule months!). Jelly The Pug is perfect for any child who loves standing out from the rest of the crowd, whether it be day or night! The cutesy fabrics will make you reminisce about past days with the retro patchwork vibe; but is paired with modern fabrics, so your child can have a style uniquely hers! Garnet Hill is one of our favorite places to shop for children’s clothing. Starting with the child in mind, they create colorful, whimsical, yet practical clothing that stands out from the rest. They offer products of outstanding quality that stand the test of time. Beginning in 1973 as a company specializing in the creation and sale of quality flannel sheets, they have expanded to become a full-scale online and catalog retailer of fine goods, such as women & children’s fashion and luxury home goods. One of the things we are passionate about at Daily Mom is avoiding toxins whenever possible; so we’re constantly on the hunt for children’s pajamas that are free of toxic flame retardants. This typically limits us to the tight-fitting, cotton styles; but with Garnet Hill, we’ve finally found amazing jammies – free of toxic chemical flame retardants – in traditional button-up pajama style. These German flannel pajamas are oh-so-cozy; and this fabric is brushed on both sides for the ultimate in comfort. 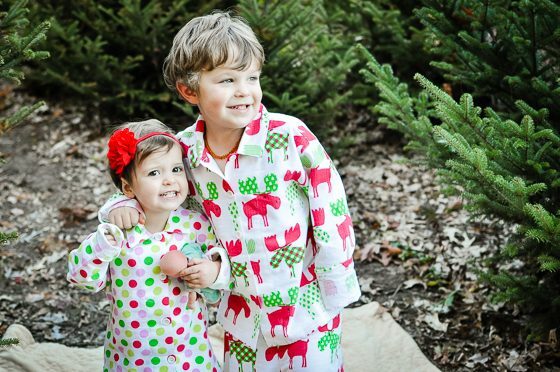 Garnet Hill offers an array of uber-cozy, snuggly, flannel pajamas in adorably festive prints. Christmoose and Festive Dot are great, colorful looks for this holiday season; but aren’t so overly Christmas that you’ll be packing them away come 12/26. These are prints that are perfect all winter long; and you can even mix and match them prints, as the pajama tops and pajama bottoms are sold separately. 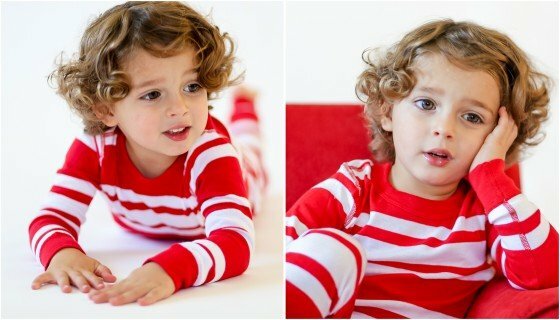 One of our favorite things about these flannel pajama sets is that they coordinate so well for siblings, yet aren’t identical; so each child can feel unique. This set is also available in a festive, candy-cane-esque Red Stripe pattern, and an adorable print with festive polar bears, called Merry Bears. 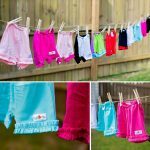 Garnet Hill pajamas are truly top quality garments that will stand up to children’s play, countless laundry cycles; and can even be passed down from child to child. 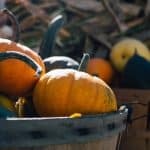 If you’re looking for cozy pajamas with festive holiday patterns that are free of toxic flame retardants, Garnet Hill offers the perfect menu of choices for your little one. Founder of JoJo Mamam Bébé, Laura, grew up abroad, where she spent her time making clothes for her friends and her dolls. 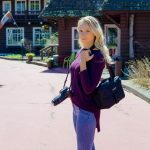 After her studies, running a small clothing business and traveling around Asia, she decided to plant roots and set up a business based in Brittany, France. There, she fell in love with the chic fashion, outdoor lifestyle and practicality of childrens clothing. After a near fatal accident, Laura had a chance encounter with a hospital roommate who complained to her about the lack of childrens fashion catalogs. It was then that the idea for JoJo Maman Bébé was conceived: a Brenton influenced, quirky childrens fashion line available via mail order. One year later, JoJo Mama Bébé launched from a tiny, shared office in London with a 24 page catalog with 30 styles. Over the next two decades, JoJo Maman Bébé added a maternity and nursery line, developed the now-beloved JoJo bunny mascot, added a profit share system and polar fleece recycling program, opened boutiques, earned and MBE for services to business in the Queens New Years honors list, worked hand in hand with a small local charity to reduce infant mortality rates in Mozambique and launched an international department. What started out as an idea in a hospital bed, JoJo Maman Bébé now employs over 700 people in the UK team, has 70 stores across the UK and Ireland and has trade customers in 40 countries across the globe. 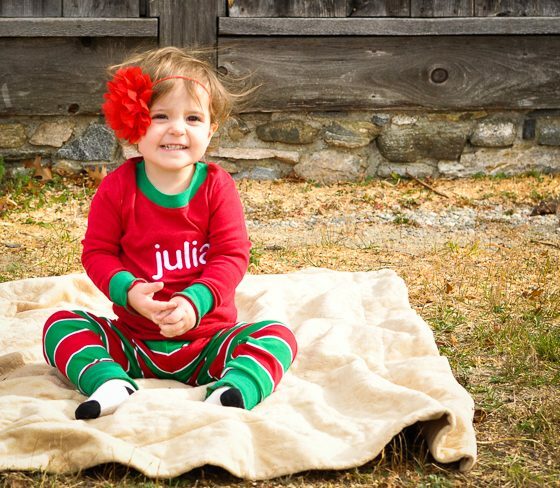 JoJo Maman Bébés holiday pajamas are the perfect combination of holiday cheer without screaming Christmas! and the comfort and quality you would desire for your little ones pajamas. These jersey pajamas are made from comfortable, ultra soft, stretchy fabric with rib cuffs and lightly elasticated waists for comfort and fit. Theyre not too thin like cheaply-made childrens pajamas, but not too thick to make them hot and uncomfortable. They are made with super soft seam constructions; and cover all appliques and embroideries, as to not scratch or irritate delicate and sensitive skin. 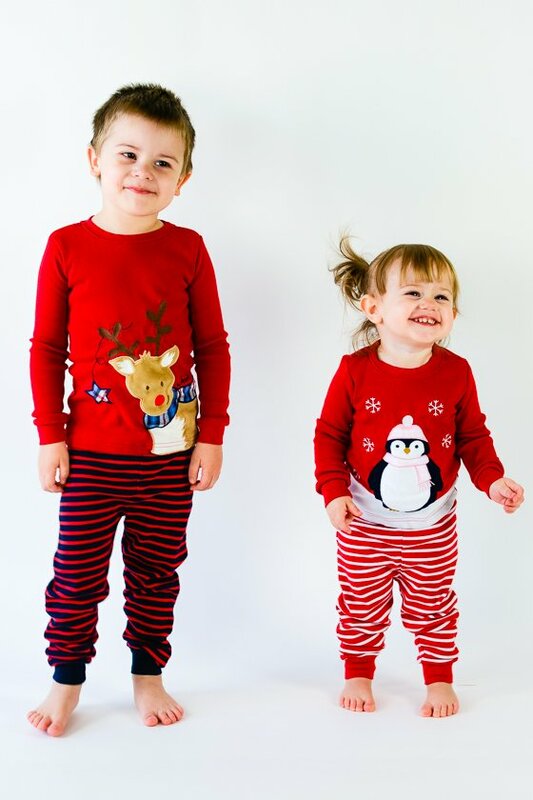 You can choose from the adorable Rudolph reindeer design with black and red striped pants or the festive penguin with snowflakes that are paired with red and white striped pants. Each design is perfect for boys and girls! With their superior comfort, adorable designs and quality materials, JoJo Maman Bébés holiday pajamas are perfect for any little one who loves to not only sleep, but play in their pajamas as well. The cheerful designs and bright, bold colors will bring happiness to the hearts of everyone in your home this holiday season! What started as a few simple paintings turned into aprons by a husband and wife, became the worldwide beloved brand of Hatley; which now sells a variety of items from children and women’s clothing to home goods and gifts. 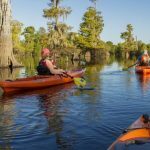 Named after the Canadian town in which that husband and wife lived, Hatley is a family owned company that has graced the world with their well-designed, nature-inspired products for the last 20 years. Not only does Hatley pride themselves on the creations they sell, but they have a passion for social and environmental awareness, made evident by supporting an orphanage in India and adopting “green” initiatives. 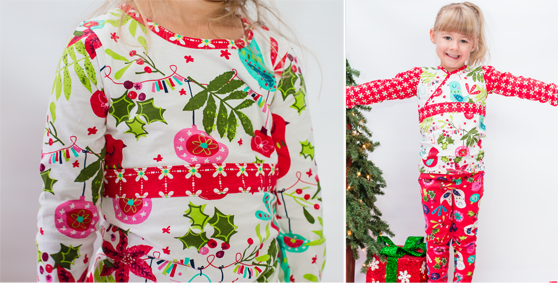 Holiday pajamas don’t have to sport the customary red and green color scheme, complete with Santa faces and reindeers. If you want pajamas for your kids that they can wear long after Santa fills their stockings, but ones that are still fun and festive, then Hatley’s line of bear pajama sets and slippers should be at the top of your list! 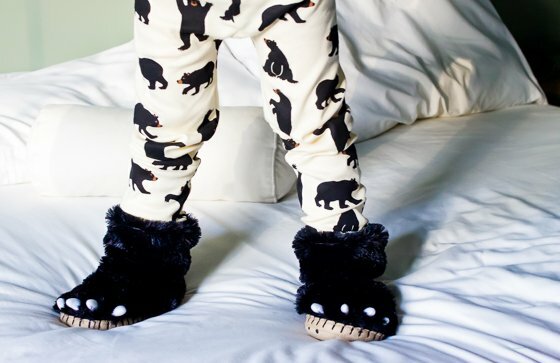 Have your son and daughter perfectly coordinate for bedtime in these pink and blue pajama sets; each featuring a fuzzy bear applique and “bearly sleeping” displayed on the tops, and an all-over black bear print on the bottoms. 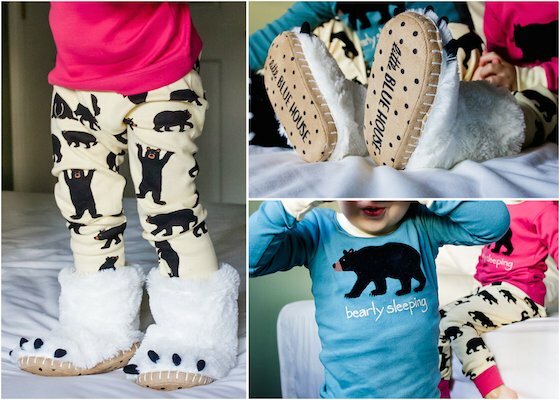 Keep little toes cozy warm in Hatley’s bear paw slippers that match their pajamas perfectly. Choose from black bear paws or polar bear paws, but still receive a fuzzy fleece interior with a microsuede sole on either pair. With whip-stitch edging, machine washability, and a slouchy design, these slippers will make stomping around the house on Christmas morning that much more exciting! 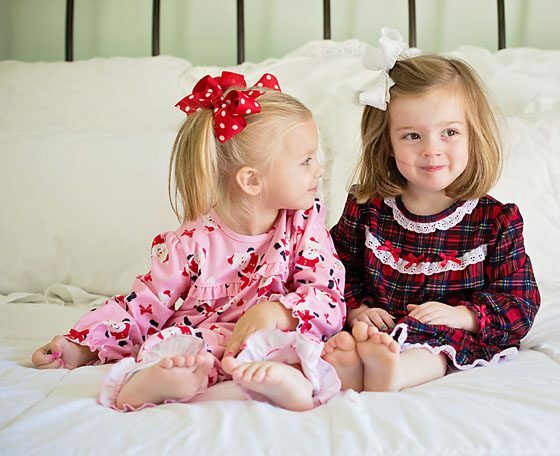 Toddlers and big kids will love the playful prints and fun designs of Hatley’s pajamas and slippers; and parents will love the versatility and longevity of buying “holiday” pajamas that are a bit more on the modern side of style. Skylar Luna focuses specifically on one amazing and eco-friendly product; sleepwear! The designer of this collection, Wen, comes from a generations-long family tradition of textile and apparel entrepreneurs. Wen strives to implement environmental-minded practices by doing things such as packaging PJs in reusable linen bags. She is consistently focused on building a unique company that offers consumers a socially conscious yet trendy, safe and comfortable sleepwear option from newborn stage all the way up to eight years old. Skylar Luna offers California-inspired sleepwear that is both modern and absolutely adorable. Their fabrics are crafted with yarn-dyed, pure organic cotton; and they offer both long and short sleeve alternatives. Their thoughtful flat interior seams keep kids cozy and comfortable. Parents are awarded peace of mind with the Turkish 100% organic cotton fabric. This ensures that they are free of any fire retardant chemicals. For the Holiday Season, in addition to their typical prints, they have an amazing selection. Their Red & White Stripes scream “Holiday” for both boys and girls; and will also be perfect come Valentines Day. Their whimsical Winter Wonderland print is the perfect design to tuck them into bed with on Christmas Eve. Perfect for the contemporary parent who is looking for an organic yet trendy alternative for holiday sleepwear for their kids. Skylar Luna offers the market a great and machine washable option that mixes beautiful design and quality. Little Me creates beautiful threads that celebrate those fleeting years when newborns transform into young toddlers. 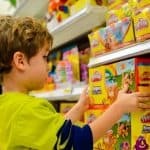 Their products let little ones be little, whether they’re napping, throwing cereal on the floor or crawling through deliciously muddy grass. Keeping with a belief that babies should always be comfortable, snuggly and safe; Little Me avoids using “grown-up” materials such as tweed and leather. Instead, they prefer to use fabrics like soft cotton, terrycloth and velour. Everything they design allows babies to discover the world at their own pace. They’ll have plenty of time to dress like adults. Let them and yourself enjoy the wonder of childhood while it lasts. Who doesn’t remember wearing plaid pajamas on Christmas morning? 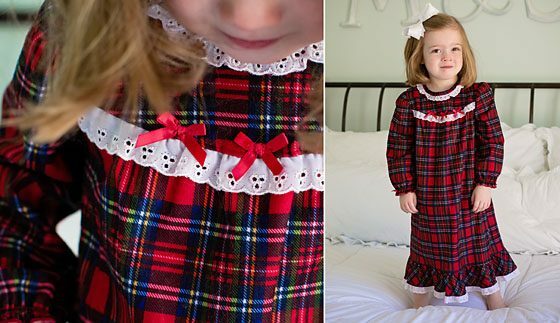 If you’re like us, the Holiday Toddler Girl Plaid Pajama Gown is a perfect throwback to childhood. This toddler girls’ plaid sleep gown will keep your little girl warm and comfortable with soft, long sleeves and a ruffled skirt. If gowns aren’t your girl’s thing – she may like this same pattern in a 2-piece Pajama Set. Or, if you also have a little boy, the coordinating boys’ pajama set is also available. For something a little less traditional, be sure to snag the Toddler Girl Santa 2-Piece Pajama Set; because nothing says Christmas like these cute ho-ho-holiday pajamas. 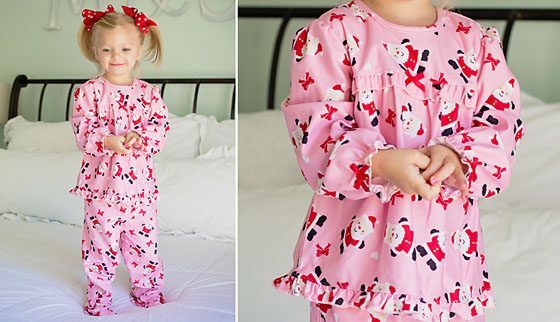 Your toddler girl will love the soft feel of these fun santa-print pajamas, complete with a gentle snap shirt and slip-on pants with ruffled hems. A similar look for boys is available. Made of 100% cotton, the green stripes with a happy Santa on the side will perfectly pair with the girl’s pink pajama set. Whether you’re taking a walk down memory lane or just love for your little girl to be comfortable and cute while dreaming of sugar plums, Little Me has a lovely selection of pajamas for boys and girls this holiday season. Founded in 1988 by current CEO Marcia Miller, Mud Pie is an award-winning manufacturer of innovative designs and affordably priced gifts. Based in Stone Mountain, Georgia, the company is comprised of 3 divisions – Mud Pie Baby, Mud Pie Living and Mud Pie Fashion. Mud Pie is a favorite brand of style-conscious consumers. The Glitter Santa Pajamas, in the latest Winter 2015 collection, is an adorable addition for any imaginative little girl who loves to play dress up. Dressed as a cuter version of Santa Clause, she will love singing Christmas carols and saying “Ho, Ho, Ho, Merry Christmas!” while dancing around in these pajamas. Your little one can even pretend to have a belly that shakes like a bowl full of jelly as you chase her around the Christmas Tree. She may even turn the table around on you, and ask if you’ve been a good girl or boy this year. 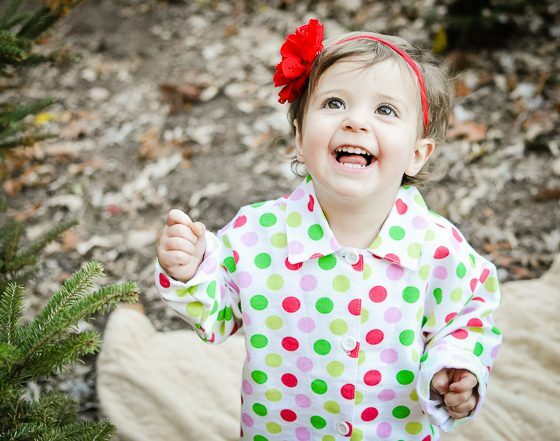 Mud Pie clothing is perfect for the fashion-savvy child and the budget conscious parent. Their sets and shirts are amazing quality, all at an affordable price point. With the holidays quickly approaching, we hope youll find that our Picture Perfect Pajamas Guide has made one thing on your to-do list just a little bit easier! For more great holiday tips,ideas and guides, be sure to check out our HOLIDAY section!